On 5 June – World Environment Day – two international campaigns are aiming to keep plastic pollution at the top of the agenda by harnessing the power of social media. ‘One Plastic Free Day’, a campaign organised by A Plastic Planet – the group behind the recent development of a ‘Plastic Free’ trust mark to be used in supermarkets – hopes to inspire 250 million people from around the world to avoid plastic-packaged food and drink products for 24 hours, while the United Nations Environment Programme’s ‘Beat Plastic Pollution’ initiative focuses on persuading people to give up single-use plastic bottles. A Plastic Planet is encouraging people to make a stand against plastic packaging by taking pictures of the products they have given up for the day and sharing them on social media using the hashtag #PassOnPlastic. The campaign will focus attention on the growing international consensus for radical measures to reduce plastic packaging waste, calling on global companies to pledge to significantly reduce their plastic footprint. The campaign, backed by celebrities including adventurer Ben Fogle and Harry Potter actress Bonnie Wright, has supporting partners from across Europe, Asia and the Americas, including Sky Ocean Rescue, Iceland Foods, Dutch supermarket chain Ekoplaza, Volvo Ocean Race, TimeOut and Spotify. Sian Sutherland, co-founder of A Plastic Planet, said: “Across every continent, people are waking up to the fact that plastic has absolutely no place in food and drink. Where is the logic in wrapping something as fleeting as food in something as indestructible as plastic? The United Nations is supporting a global awareness campaign to discourage the use of disposable plastic products, particularly single-use cups, using an online game of tag. The #BeatPlasticPollution movement asks people to replace their single-use plastic products with reusable alternatives; participants are encouraged to share their commitment on social media, then tag their friends and spread the message within 24 hours, creating a chain reaction and widening participation. The campaign has garnered widespread support, with actors Arnold Schwarzenegger and Tom Felton, McFly singer Tom Fletcher, actress and model Dia Mirza and numerous environmental campaigners participating and encouraging their followers to do the same. There is also a short video to accompany the campaign, which has been viewed over 50,000 times on youtube, and takes a humorous look at the importance of ditching plastic. These are not the only social media campaigns tackling plastic waste launched this year. The Waste and Resources Action Programme (WRAP) launched a campaign in February centred specifically around the horrifying fact that 79 per cent of all plastic ever created is still in the environment today. The ‘Plastic Planet’ campaign also aims to engage consumers and raise awareness using easily digestible facts and stark images to try to help improve the UK’s plastic recycling rate. Environmental behaviour change charity Hubbub launched two significant campaigns last year targeting plastic littering. ‘For Fish’s Sake’ set out to reduce the amount of waste entering the UK’s river and marine systems because of ‘tidy litterers’ – those who place their litter on walls, down storm drains or leave it carefully next to full bins in an attempt to be ‘tidy’, while doing nothing to alleviate the problem of waste entering our waterways. 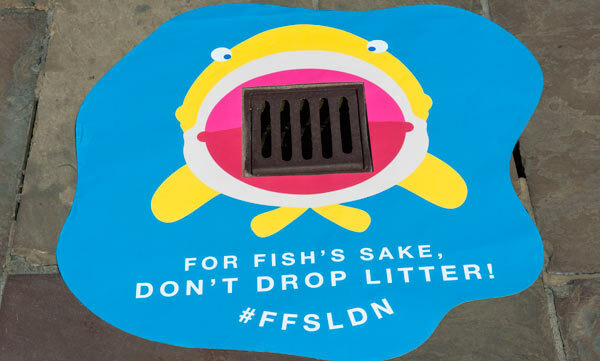 Hubbub’s campaign offered simple steps to address this – find another bin or take your litter home – and saw the pun-tastic hashtag #FFSLDN emblazoned on bins around London. A second campaign from Hubbub went much further, with a 12-seater boat, ‘Poly-Mer’, made from Plaswood – a composite material made of 100 per cent recycled plastic – designed to grab attention while collecting litter from the River Thames. Built by Mark Edwards MBE, creator of the Queen’s barge, ‘Gloriana’, ‘Poly-Mer’ embarks on ‘plastic fishing’ trips in order to clear plastic litter from the docks around the capital’s Canary Wharf. The organisation hopes to construct new vessels from the collected plastic, ultimately aiming to have a flotilla of plastic litter-busting boats deployed across the UK. Campaigns such as these succeed when they grab the public’s imagination, making urgent issues seem relevant and accessible by offering simple steps for people to take everyday. The hashtags #PassOnPlastic and #BeatPlasticPollution are already gaining traction on Twitter, and both the UN Environment Programme and A Plastic Planet will be busy tweeting in the run-up to and throughout World Environment Day. 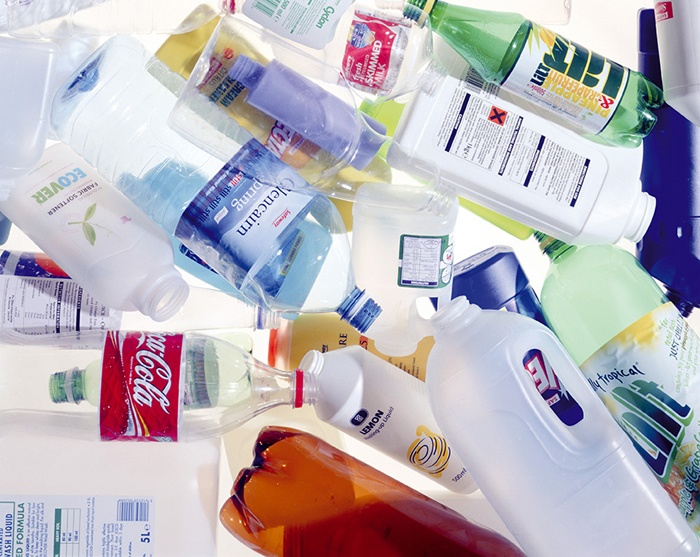 A new plastic-focused campaign from the WRAP says the world is fast becoming a ‘plastic planet’ - and hopes to engage consumers to improve recycling rates in order to combat this.